From apps and editing to tips and extra lenses: we share our top smartphone photography tips for capturing beautiful photographs on your mobile phone. As full-time travel writers and photographers, we spend our lives trying to capture special moments we encounter on the road, particularly through the lenses of our cameras. We’re not alone either; the rise of apps like Instagram show that we all love to document our lives on the go (shameless plug: go follow us on Instagram!). That's where our smartphones come in super handy. We use our smartphone cameras almost daily (for reference, we both have the iPhone 7), capturing travel moments we ordinarily wouldn't on our DSLR's, including selfies, or stories for Instagram. Surprisingly, we’ve grown fond of our phones and their ability to snap the spontaneous, instead of the planned. After all, there are some days that we just don't want to carry our 15kg camera bag around with us all day, we're wary of wandering around with expensive camera gear, or the scene dictates that we have mere milliseconds to 'get the shot' before the moment is gone, and our phone is the always-reachable best option. These days, our smartphones aren’t just smarter, they’re also powerful compact cameras, and they’re changing the photography game entirely. As many wise photographers will tell you, the best camera you have is often just the one you have with you - and who really ever leaves home without their phone?! 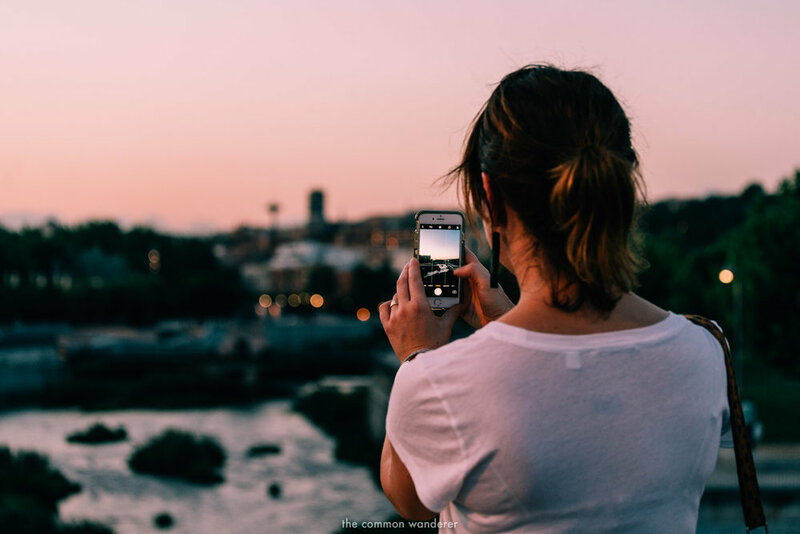 Whether you’re looking to capture your own travels or just lift your selfie game, we’ve put together our favourite smartphone photography tips to help you up your mobile photography game! The last thing you want is an image that looks like the world is falling off its axis, and nothing ruins that epic beach shot more than the sea looking like it's going to slide right off that 45* angle. Straighten up those horizon lines! If you forget to shoot the horizon straight while taking the photograph, you can always fix it up using the edit function on your phone after. The rule of thirds is a basic photography formula that helps you to compose interesting (and well-balanced) photographs. It refers to mentally dividing up your image using two intersecting horizontal lines and 2 vertical lines (creating a 9-square grid), with the idea that the human eye naturally gravitates to these lines and the points at which they meet. Using your phone's camera grid to help you place your most important elements along these lines and points will help you nail that shot, just about every time. Photography is all about capturing light, and even the most boring composition can be totally transformed by using it well. Your phone’s camera is best equipped for soft, natural light - so look for the ‘golden hour’ in early morning and late afternoon. This is also the time of day when shadows are softened, colours are deeper and richer, and the whole world just looks magical; which is exactly what you want to be capturing in your shot! If we’re heading out on a day’s shoot with our camera gear, we’ll generally take upwards of 500 photos. We then go through and select the best for post-production. It’s no different with mobile photography. Take a photo, analyse it, then make the necessary changes. Move around, get creative by adjusting angles or perspectives, or modify your exposure. You’ll find the end product often tends to be a hell of a lot better than your original photo! You can always delete extra photos later; you can't capture the same scene twice. Don’t just snap away wildly, focus on a subject and make them the key component of your image. For instance, if you’re taking a portrait of your friend, focus the camera on the human subject first and foremost, then recompose the best shot around them. And if you need to zoom, walk a little closer! In photography, less is more, especially when using your mobile phone, which has a very wide lens. Make use of empty spaces (incorporating the rule of thirds! ), the sky, uncoloured surfaces, and focus on details. This might be really obvious, but we’re often caught out by a dirty lens, especially when trying to take a selfie. Our hands can be oily, pockets can be dusty; always give it a quick wipe before you click. Photography is always about taking an opportunity, whether it's a particular moment or the perfect light. Sometimes these moments can be so fleeting that stopping to haul your camera gear out of a bag, fumble with settings, and snap it in time can often lead to disaster. Fortunately, your phone is almost always in your hand or pocket, so take the opportunity when that incredible moment arrives. A good way to always be ready is to have a power bank to keep you phone charged. We use the Anker Power Core, which we get two full charges out of! There’s no secret to photography - it’s definitely all about being in the right position at the right time. So get out and explore, whether it’s in the mountains or in a city. Getting your focus right is super important. After all, you want to make sure the lion in your safari photo is crystal clear, not the tree behind him! Most phones are pretty good at picking up where they *think* the focal point is, but to be sure, tap the object of your focus on your screen and the camera will do the rest (on iPhones, the focus point is shown via the yellow box). Often, this will also help you to manage which part of your photo you'd like 'exposed', which will help you to stop your shot from being too dark or blown out. Phones aren’t very well-equipped to deal with low light which means night photography can be tricky - but not impossible. Grab a mini tripod to keep your phone stable, and use an app like Camera+ to adjust your overall settings. Avoid using the flash as it will blow out your foreground. Then, prevent camera shake by setting the countdown timer on your phone, and you’re set! Sadly, unlike DSLRs which utilise optical zoom that gets you in nice and close to your subject without distorting the image at all, the digital zoom on your phone actually crops the image as it zooms. This means that your closeup of the Eiffel Tower will end up blurry and distorted, much like when you attempt to zoom in on a website image on your computer or mobile. Instead, ‘zoom with your feet’ by moving yourself closer, or take the photo at normal size and crop it to the size you want during editing. Sometimes - like when you’re about to take an epic group selfie to rival Ellen’s - pressing the phone screen without dropping your phone is almost impossible. Press the volume buttons on your phone to release the shutter instead. Cameras have come a long way since they first appeared on phones, but unfortunately, they still offer almost no control over settings like shutter speed, ISO, and aperture. These three pillars of photography work in tandem to produce every photo; the shutter speed controls how long your camera’s shutter is open for; a fast shutter speed will freeze fast-moving objects, while a slow shutter creates a motion blur effect. ISO is the camera’s sensitivity to light and is particularly useful in dark rooms or at night, while the aperture controls how much light passes through your lens and how much of the image is in focus. On your phone, these settings are normally controlled automatically, but downloading a camera app like Camera+ or Manual allows you to adjust each manually yourself - and capture mobile shots to rival any DSLR! Clip-on lenses like the Xenvo smartphone lens kit allow you to get creative with the look of your shot. Changing up your angles to fisheye, wide angle, or macro can be a simple way to make your photos stand out. 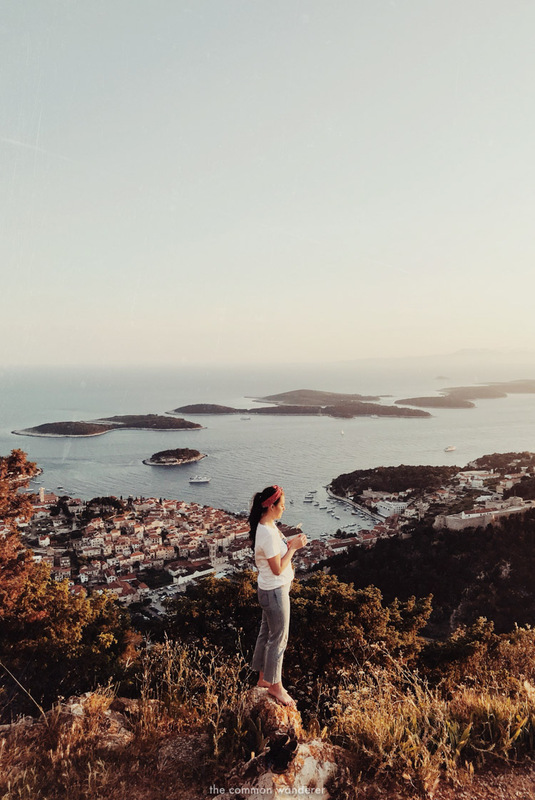 Mim overlooking the town of Hvar, Croatia, edited using VSCO smartphone photography apps. Swimming in the waters of Hvar, Croatia, edited using VSCO and Mextures smartphone photography apps. Behind just about every epic photo you see in your Instagram feed today is an epic editing process. In fact, every photo we’ve ever posted has been edited to some degree. Avoid using the inbuilt phone filters (like B&W), as they can destroy the quality of your image. Instead, always shoot naturally first and adjust to your preference later. There are tons of third-party editing apps available for the iPhone and Android phones now; we’ve added our favourites to a comprehensive list below. Exposure | Smartphones are generally pretty smart and they're able to manage exposure fairly well, so we rarely adjust this setting when editing our photos in app. Contrast | Contrast is the difference between the black and white points in your images. More contrast adds darker blacks and whiter whites, but can sometimes be too much. Increasing your contrast can also over saturate your images. We rarely add much contrast, and we suggest you do the same. Saturation | Saturation refers to the intensity of the colours - so if you like your colours vivid, increase the saturation. If you’re like us, you’ll like the muted tones - therefore we tend to drop the saturation slightly. The next step in bringing your smartphone photo to life is by using one of the many great photography apps. These apps allow you to improve your photo with ease, through the click of a button and a few minor tweaks. These are the best smartphone photography apps in our opinion, and the ones we use each day to bring our Instagram stories or iPhone snaps to life. Lightroom CC on mobile is Adobe’s state-of-the-art photo editing software. Apart from the usual adjustments, Lightroom CC mobile allows you to make micro adjustments, including graduated and radial filters, spot fixing and colour manipulation. Using the app, it’s also possible to add and use your favourite photographers’ Lightroom presets to your photos; this is great when you’re looking to make edits on the run, or hoping to mimic the style of some of Instagram’s finest photographers. But for us, the best feature is the ability to sync your library to your Lightroom CC desktop, meaning you have the ability to edit on your phone and finish on your computer (only applicable if you’re an Adobe CC subscriber). Lightroom CC for mobile is free for download in the App Store and Google Play, however you’ll need an Adobe CC account for sync features. PhotoshopMix is Photoshop for your mobile, and provides the ability to make local adjustments, add filters or presets (similar to Lightroom CC), layer compositions, and add professional-looking text overlays. Similar to Lightroom CC, if you’re an Adobe CC subscriber, your edits will sync across your devices, meaning any changes you make on the go will automatically appear on your desktop for further adjustments. PhotoshopMix is free for download in the App Store and Google Play, however you’ll need an Adobe CC account for sync features. The go-to app for most photographers looking to take their smartphone photos to the next level, Snapseed is a powerful little app with many possibilities. We loving using Snapseed when trying to make local adjustments before importing into VSCO or Mextures for final application of filters/presets. While not necessarily having the filters of VSCO or Mextures, Snapseed allows you to make a myriad of adjustments with a huge range of tools, from curves to tonal contrast. You can also use the app to crop, alter perspectives, or rotate. Snapseed is available for free from the App Store and Google Play. Surprising to most, VSCO is more than an app to edit photos - it’s a fully fledged social media platform for photographers and creatives. If you’re looking for photography inspiration, or to share your work to a photography app less focused on algorithm’s, VSCO is your platform. We use VSCO mostly for our ‘on the fly’ edits, as it has an incredible range of film presets based on real film looks including Portra 160 and 400. The editing component also allows the usual adjustments including exposure, temperature, highlights and shadows, and split toning if you’re feeling adventurous! VSCO is free for download in the App Store and Google Play, however you’ll need to pay to access its more robust features. If you’re looking to experiment with your iPhone photos, Mextures is a great app to start with. We use it regularly to add creative elements to our smartphone photos for Instagram stories. You can apply textures, light leaks, and different types of grain, all fully adjustable to suit your preferences. You’re also able to combine different layers, meaning your simple image can become a work of art with just a few clicks. Mextures also has a range of presets, or ‘formulas’, which can give a different aesthetic to those offered by VSCO or Instagram. Mextures is available for $1.99 in the App Store and Google Play. 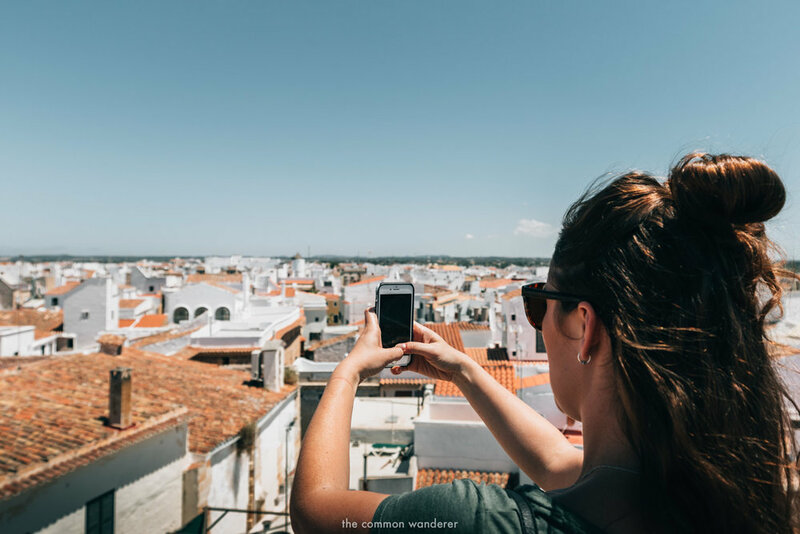 Whitagram is another all-purpose photo editing app that allows you to customise your photos in any way you wish, as well as adding text and design elements to you photos. But what it’s really great for is adding borders to your images if your photo is too tall/wide for your liking. There are some big name Instagram accounts that use white borders, including Dan Tom and IoeGreer, so if you’re looking to mimic that style, Whitagram is your app. Whitagram is available for free from the App Store and Google Play. 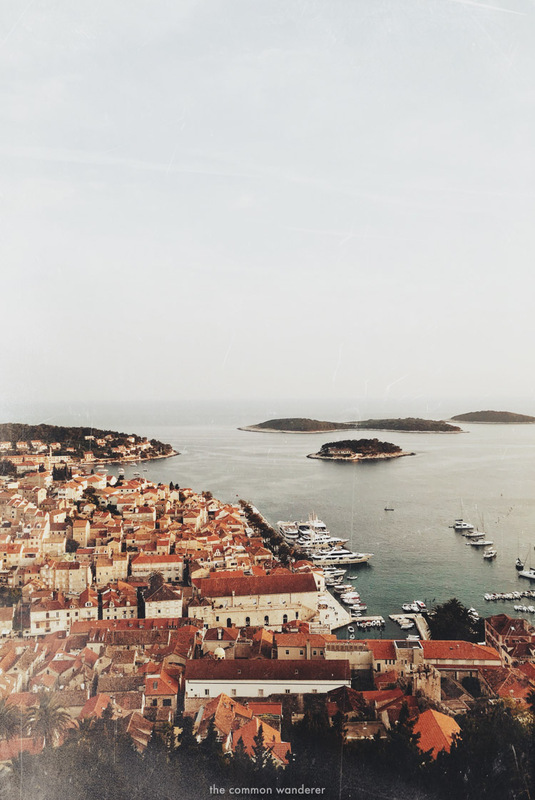 Hvar, Croatia, edited using VSCO and Mextures smartphone photography apps. 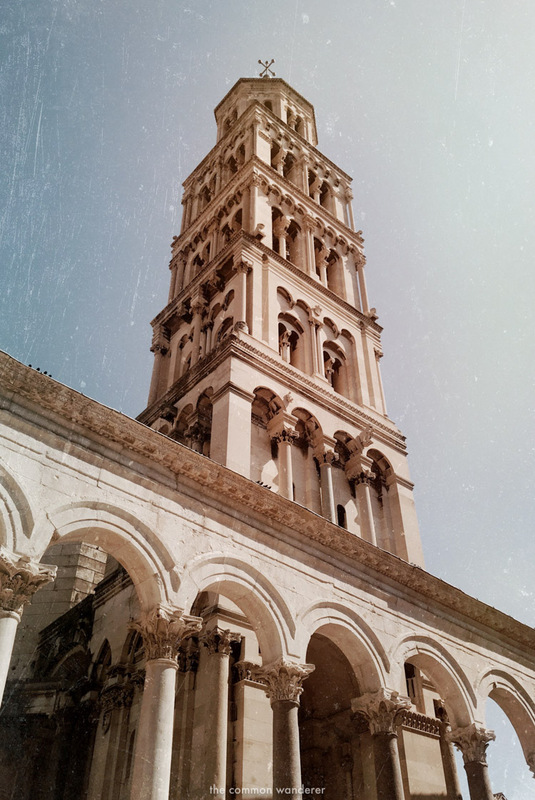 Diocletian's Palace in Split, Croatia, edited using VSCO and Mextures smartphone photography apps. Like this photography post? You'll love these posts too!